Dr. Adler-Tapia is a licensed psychologist who has worked with individuals encountering trauma, attachment and dissociation for more than 30 years. She treats children of all ages including those with intellectual and/or developmental disabilities. Her career includes counseling, consultation and psychological services for children and families referred by child welfare, Military Veterans, and Public Safety Professionals. Dr. Adler-Tapia also provides post-shooting debriefings and treatment of acute stress and trauma with Law Enforcement Professionals, and consults with Law Enforcement Agencies. She has authored several books, chapters, and articles on treating trauma. Her volunteer work includes collaborating on the CEBC update and SAMHSA approval for EMDR therapy with children, Mental Health Consultant for PISTLE, and as a member of the Arizona State Subcommittee on PTSD in the Military and Public Safety. Karen Alter-Reid is a clinical psychologist and EMDR Institute regional trainer. She is Faculty, EMDR Senior Consultant and Trainer at the National Institute for the Psychotherapies’ Integrative Trauma Program. As Co-Coordinator of the Fairfield County TRN, she has overseen trauma/EMDR education and treatment of first responders, and created a ‘Therapy for Therapists’ program. She has presented at EMDRIA conferences on her work with first responders and therapists. Currently, she is Clinical Consultant to a research project using the Reverse Protocol with court-involved youth. She co-authored with Dr. Ruth Heber, The Trans-generational Impact of Anti-Semitism: Searching for EMDR Targets to Heal Internalized Stigma and Expand Identity. 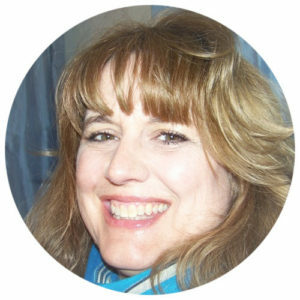 Terry Becker-Fritz has a Master’s degree from Ohio State University and has her national certification as a clinical nurse specialist through the ANCC. She is a consultant in EMDR Therapy, and an independent trainer. Her clinical expertise is working with victims of trauma of all ages. Terry helped create the Central Virginia Trauma Recovery Network and is serving as the Leadership Chair. This TRN has a response team of 29 EMDR clinicians and the team was onsite and operational at the Charlottesville event of 12 August 2017. On that day, 20 highly traumatized victims were treated and in the following two weeks another 59 people were helped. 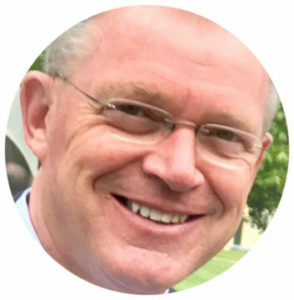 Michael Bowers, Executive Director of EMDRIA, is an association executive with over thirty years experience in health policy and health care delivery. He has worked on policy and law regarding health care organization, finance, and delivery since 1986. 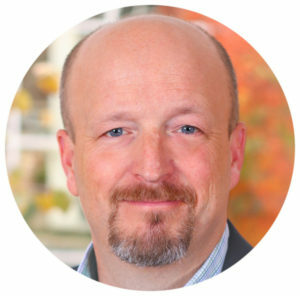 He has served as the Executive Director of the American Association for Marriage and Family Therapy (AAMFT) and the CEO of the American Physical Therapy Association (APTA). As a mental health advocate, he has provided testimony to the US Senate, the US House of Representatives, and in 22 state legislatures, and appeared on CNN and NBC Nightly News. He has also developed and maintained partnership agreements for disaster relief with the Red Cross. Rolf Carriere studied development economics and philosophy at Groningen University, Netherlands. From 1971 till 2005 he worked with UNICEF and the World Bank, mostly in health and nutrition in Asia, including nine years in India. His last positions were UNICEF Country Representative in Bhutan, Myanmar, Bangladesh and Indonesia. In 1985, he co-founded the Iodine Global Network (ICCIDD). In 2002, Rolf established and managed the Global Alliance for Improved Nutrition (GAIN) in Geneva. In 2016, he founded the Global Initiative for Stress and Trauma Treatment (GIST-T). Rolf currently serves on the Boards of Nonviolent Peaceforce and the Free Yezidi Foundation. 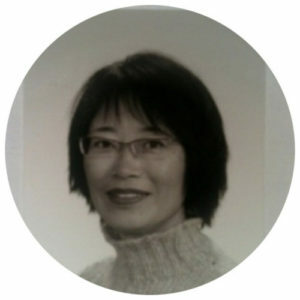 Louisa Chan Boegli studied medicine and public health in the US and UK, and worked most of her professional life with the ICRC and WHO in war-torn countries. In the last 10 years, she became involved with peacebuilding. With Humanitarian Dialogue, Geneva she initiated the mediation of peace processes in Aceh, Indonesia, and in Myanmar. This then led to capacity building of national medical professionals in humanitarian and peacebuilding work. This work has been documented in Conflict, Medicine and Survival and in Healing under Fire – the Case of Southern Thailand, 2014. 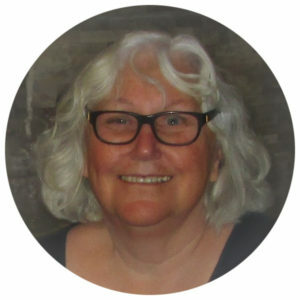 Louisa is currently the Senior Adviser of 4Change (Italy) and Medical Peace Work (Norway), and Board Member of PeaceNexus, Nonviolent Peaceforce and GIST-T.
DeGraffenreid is a passionate advocate for expanding EMDR therapy into agency and community mental health settings and has started several agency based EMDR programs. He is Senior Trainer for the Trauma Recovery EMDR Humanitarian Assistance Programs. He is also the lead consultant to the all the Trauma Recovery Networks that are a part of TR/EMDR HAP. He has worked extensively using EMDR in community settings to work with the survivors of homicide and is the Coordinator of the Greater New Haven Recovery Network. (GNH TRN), which provides up to 10 pro bono sessions to crime victims and survivors of homicide, who have been referred by the New Haven Police Department. 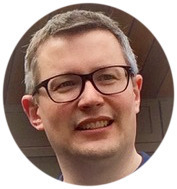 Derek Farrell is Principal Lecturer in Psychology at the University of Worcester (UK), where he is course director of the world’s first MSc EMDR Therapy programme. Derek is involved in trauma capacity building projects in Pakistan, Turkey, India, Cambodia, Myanmar, Thailand, Indonesia, Philippines, Lebanon, Poland, Palestine and Iraq. 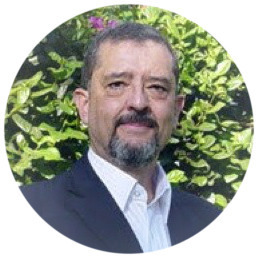 Derek is an EMDR Europe Approved Trainer and Consultant, as well as a Chartered Psychologist with the British Psychological Society, and an Accredited Psychotherapist with the British Association of Cognitive and Behavioural Psychotherapies (BABCP). 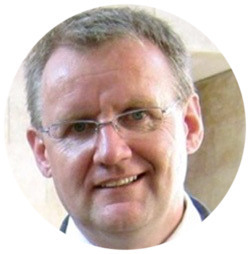 He is President of EMDR Europe Trauma Aid Programme, and Vice-President of EMDR Europe. In 2013, he received the David Servan- Schreiber award. Dr. Gilman’s doctoral dissertation focused on the effects of cumulative traumatic stress exposure in first responders and the use of EMDR as an early intervention. She is a former San Diego Rural Firefighter/EMT and served on the San Diego Critical Incident Stress Management Team for over 10 years. 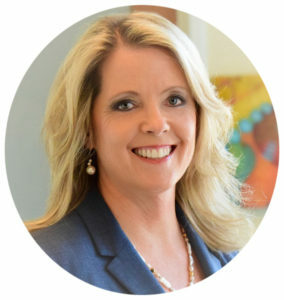 As co-founder and President of Coherence Associates, Inc., she consults with agencies to build strong peer support teams, and trains personnel in “Peak Performance and Mental Toughness for the First Responder.” She was awarded Fellowship status with the American Academy of Experts in Traumatic Stress for her extensive work in utilizing EMDR with first responders following critical incidents. As author, speaker, and consultant, she has impacted first responder professionals including 911-Telecommunicators, Police, Firefighters, and EMTs. E.C. Hurley is a retired Colonel in the U.S. Army with 33 years military experience, many in crisis situations. He is the Founder/Director of the Soldier Center in Clarksville, TN which provides EMDR-based treatment. He is experienced in addressing early intervention responses in combat areas, natural disaster zones and local veteran crisis responses. His experience ranges from coordinating EMDR Therapy volunteer response following hurricane Katrina, to training soldiers in early intervention responses during combat, and training military medical units to provide EMDR early intervention during crisis response. Additionally, he provides training and consultation to therapists in veteran-focused agencies providing crisis response using EMDR early intervention strategies. Ignacio (Nacho) Jarero is an EMDR Institute and EMDR-Iberoamerica senior trainer of trainers and specialty trainer. He specializes in humanitarian trauma recovery and research programs on EMDR Therapy. He has conducted seminars and workshops with participants from 65 different countries, and since 1998 has provided field services around the world to natural or human-provoked disaster survivors, family members of those deceased, and first responders. 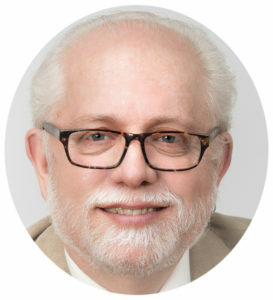 He has received the EMDR-Iberoamerica Francine Shapiro Award, the EMDRIA’s Outstanding Research Award, the International Critical Incident Stress Foundation International Crisis Response Leadership Award, the EMDR Colombia Jaibaná Award for Humanitarian Work, and the Argentinean Society of Psychotrauma (ISTSS Affiliate) Psychotrauma Trajectory Award. 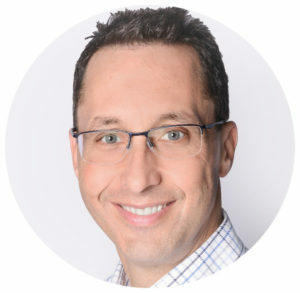 Richard Kamin, MD, is an Assistant Professor of Emergency Medicine and the EMS Program Director for the University of Connecticut Health Center. Rich also serves as the Medical Director for the Connecticut Office of Emergency Medical Services. He is actively involved in teaching medical students, emergency medicine residents, pre-hospital providers and other emergency physicians. 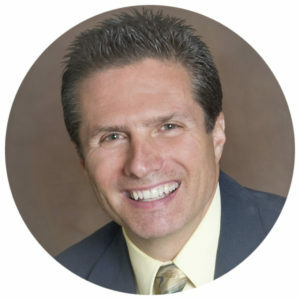 Rich is certified by the American Board of Emergency Medicine and is a Fellow of the American College of Emergency Physicians. 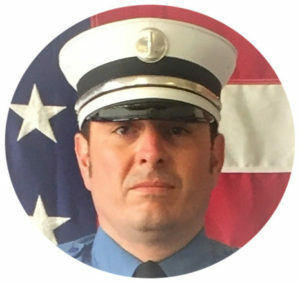 He is a member of the National Association of State EMS officials, the National Association of EMS Physicians, the National Tactical Officers Association, an active member of the Health Center Tactical Rescue Team, and the CT-1 Disaster Medical Assistance Team. Emre Konuk is a Clinical Psychologist. He received his Master’s in Clinical Psychology at Bogazici University and his Family Therapy Training at the Mental Research Institute (MRI), Brief Therapy Center, Palo Alto. A pioneer in Turkey, he established psychotherapy as a profession by founding the Institute for Behavioral Studies (DBE Davranış Bilimleri Enstitüsü). 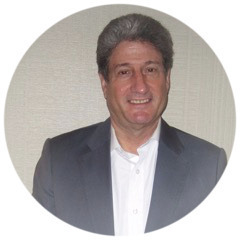 He is an EMDR Institute and EMDR Europe Trainer, President of The Institute for Behavioral Studies-Istanbul, President of EMDR Association Turkey and President of Couples and Family Therapy Association-Turkey. Since the 1999 Marmara Earthquake, he has been responsible for EMDR-HAP and EMDR Basic Trainings in Turkey. He has participated in EMDR-HAP projects in Thailand, Palestine, Kenya, Lebanon and Iraq. His wants to establish EMDR as a major therapy approach in Turkey. Beverlee Laidlaw Chasse is a psychotherapist in Scottsdale, AZ. She is an EMDR Institute facilitator, EMDRIA Approved Consultant and EMDR R-TEP/G-TEP Trainer for Trauma Recovery/HAP. Beverlee has presented internationally on Early EMDR Interventions: Preventing PTSD and other post-trauma injuries. She was also instrumental in forming the Arizona Trauma Recovery Network, AzTRN, a state-wide network of over 170 EMDR therapists who are ready to provide pro bono, quality, Early EMDR Intervention (EEI) after disasters or community critical incidences. Her Early EMDR Interventions Pocket Guide, compiled in 2013, has been included in the EMDR Research Foundation’s Early EMDR Intervention Toolkit. 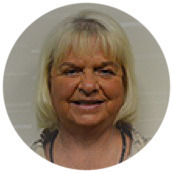 Marilyn Luber is a licensed clinical psychologist in Philadelphia, Pennsylvania. She specializes in EMDR Therapy and has presented at national and international conferences and has undertaken workshops in the United States, Europe, Middle East and China. She edited a series of six books on different uses of EMDR protocols and procedures. She has published articles in professional journals and regularly contributes two columns to EMDRIA’s newsletter. 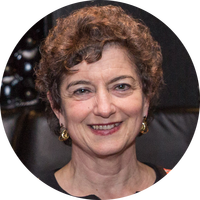 She has received the Francine Shapiro Award, the EMDRIA Award for outstanding contribution and service to EMDRIA, and the EMDR Humanitarian Services Award. Currently, she is a facilitator for the EMDR Global Alliance supporting the standards of EMDR Therapy worldwide. 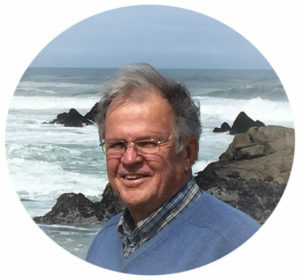 Philip Manfield has practiced psychotherapy in the San Francisco Bay Area since 1975. Most recently, Philip has developed the flash technique, a process used in the preparation phase of EMDR that permits overwhelmingly disturbing memories to be processed with virtually no pain.He has authored or edited five books about psychotherapy and EMDR and taught on six continents. Most of the cases in his two most recent books, Dyadic Resourcing: Creating a Foundation for Processing Trauma and EMDR Up-Close: Subtleties of Trauma Processing, have been included in a free website containing 35 full length clinical videos. 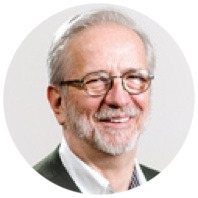 Jim Marshall is a certified EMDR therapist who has utilized EMDR since 1990. As Director of the 911 Training Institute, he educates telecommunicators in personal resilience and 911 call mastery. Jim served as Founding Chair/CEO of 911 Wellness Foundation (911WF) and co-authored the industry’s first Standard on Acute/Traumatic and Chronic Stress Management. With Sara Gilman, he co-authored Reaching the Unseen First Responder With EMDR in Marilyn Luber’s Eye Movement Desensitization and Reprocessing (EMDR) Scripted Protocols and Summary Sheets: Treating trauma- and stress-related conditions (Springer, 2015). Jim is editor of The Resilient 911 Professional (in press). 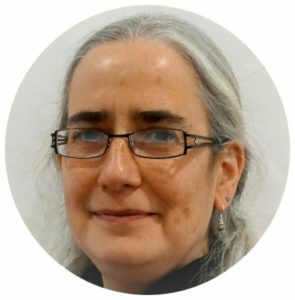 Louise Maxfield is a clinical psychologist and EMDRIA consultant. After becoming an EMDR therapist in 1993, she was an investigator in four EMDR research studies and has consulted on many international research projects. 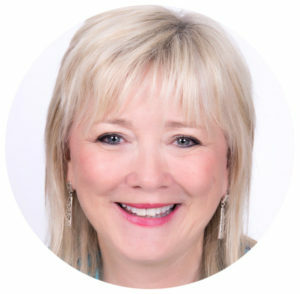 She has published more than 20 scientific articles and chapters about EMDR, is the co-editor of Handbook of EMDR and Family Therapy Processes, and has presented six plenary addresses at EMDRIA and EMDR Canada conferences about EMDR research. She is the founding editor and Editor-in-Chief of the Journal of EMDR Practice and Research. Dr. Maxfield has received the Outstanding Research Award from both EMDRIA and EMDR Canada, and EMDRIA’s Francine Shapiro Award. 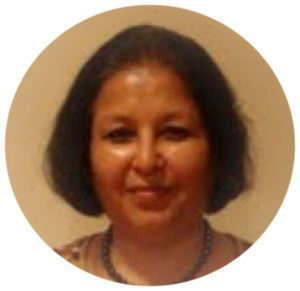 Sushma Mehrotra, having gained her M.Phil and PhD in Clinical Psychology, became a faculty member at SNDT Women’s University in Mumbai from 1990-2004. She is a trainer with Trauma Recovery/HAP for Asia. Her post-disaster work has included leading group interventions with EMDR practitioners among16,000 children and adults following the earthquake in Gujarat, India, 2001, and children and teachers of Kashmir affected by floods in September 2014. In association with Trauma Recovery/HAP, WHO and local NGOs, she initiated interventions in Nepal after the 2015 earthquake. She was the first President of EMDR Association of Asia (2008-2017). 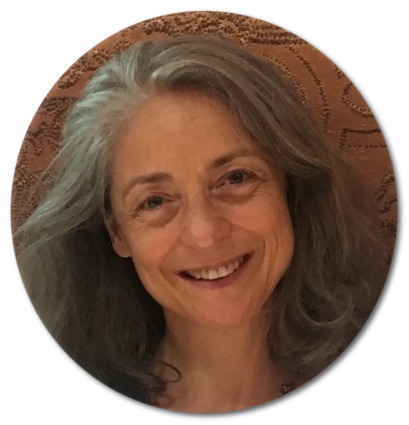 A psychologist, psychotherapist, emergency interventions specialist, and an EMDR Europe Accredited Trainer, she heads the École Française de Psychothérapie EMDR (EFPE), and is the president of the humanitarian non-profit association “Action EMDR Trauma”. She did her first emergency group intervention using EMDR in 2003 and has been involved since than in emergency and humanitarian work. She is author of the children’s book Buddy the dog’s EMDR illustrated by her sister Cécile. 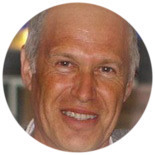 Paul Miller is a psychiatrist, accredited EMDR trainer-in-training within EMDR Europe and an EMDR Institute facilitator. 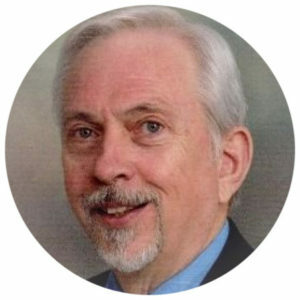 He served as Chair of the training subcommittee, EMDR UK and Ireland Association, and introduced EMDR Therapy to psychiatry in Northern Ireland’s National Health Service. In January 2011 he founded Mirabilis Health – a private psychiatrist-led clinic specializing in EMDR Therapy. Paul has presented at international conferences on topics including EMDR Therapy for psychosis. He is currently Visiting Professor, Faculty of Life and Health Sciences, School of Nursing, University of Ulster and is exploring the use of EMDR Therapy within The Centre for Maternal, Fetal and Infant Research (MFIR). Reg Morrow Robinson earned an M.Ed., Ed.S. from the University of Florida focusing on marriage and family therapy and mental health counseling. 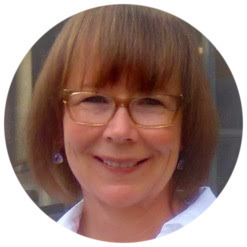 EMDR Therapy entered her practice in 1995 where she moved to become an EMDRIA consultant, EMDR Institute regional and EMDRHAP trainer, and R-TEP/G-TEP independent trainer. Reg launched the Greater Orlando, FL EMDRIA Regional Network in 2005. She sits on the EMDRIA Regional Coordinator’s Committee and the S&T Professional Development Committee. She has presented on Consultation at EMDRIA in 2012 and 2015. Reg worked with others from across the country, to respond the Pulse Night Club incident in December 2016. 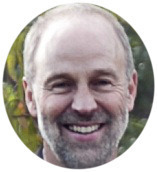 Mark Nickerson, a psychotherapist in Amherst, MA for 30 years, is an EMDRIA approved consultant and an EMDR Institute trainer. He conducts advanced EMDR trainings nationally and internationally on topics including treatment for problem behaviors, problematic anger and violence, cultural competence, and the effective use of EMDR protocols. He has developed innovative programs designed to reduce and resolve interpersonal conflict and created the Cycle Model to assess and treat problem behaviors. 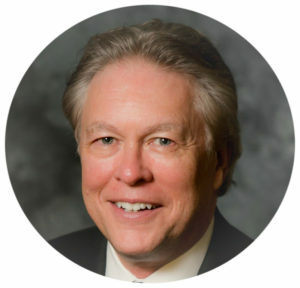 He has served on the EMDRIA Board for six years and was President in 2014. He is editor/author of Cultural Competence and Healing Culturally-Based Trauma with EMDR Therapy: Insights, Strategies and Protocols (Springer, 2016) and The Wounds Within (Skyhorse, 2015), on challenges facing war veterans and their families. 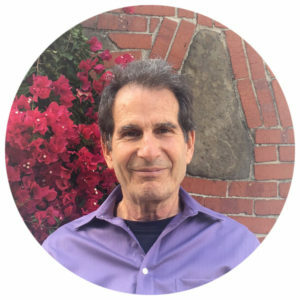 Udi Oren is a clinical and medical psychologist who has been part of the EMDR community for the past 20 years. 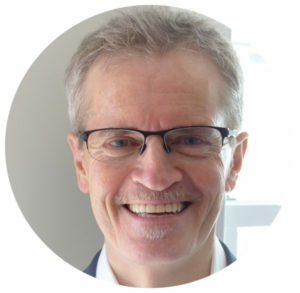 He provides EMDR trainings, as an EMDR Institute and an EMDR Europe trainer, in many countries in Asia, Europe and Africa, and has actively contributed to the growth of several EMDR national associations. Areas of greatest clinical interest include the field of combat-related PTSD (and other conditions) and stress/trauma related medical conditions. Udi has served as the Chair of the Israeli EMDR Association since its creation in1997, and as the President of EMDR Europe between 2007 and 2015. 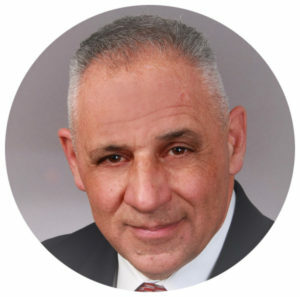 Sonny Provetto is an EMDR clinician and a trauma consultant for police departments and emergency responders in northern Vermont. His experiences as a police officer and emergency mental health clinician at 911 have guided his clinical practice with first responders for more than 17 years. Sonny consults on issues of stress and trauma with 10 VT police departments including the VT State Police and the VT Department of Children and Families. This past June, Sonny testified for the Vermont legislature as a subject matter expert on PTSD and influenced legislation making Vermont the first state to recognize PTSD as a compensable work-related injury for first responders. It was through his understanding of EMDR and its efficacy that the legislature saw the value of treating first responders immediately after traumatic events. Gary Quinn is a psychiatrist who specializes in crisis intervention, including anxiety and depressive disorders, and PTSD. He is currently the Director of the EMDR Institute of Israel. Gary trains in Israel, Europe, Asia, Africa, and the US, and for HAP in Turkey, Thailand, Romania, Cambodia and Zimbabwe. Gary is also an EMDR Institute Trainer of Trainers of Asia. He developed the Emergency Response Protocol (ERP) to treat victims of trauma with EMDR within hours of the incident. Gary has volunteered in hospitals and bomb shelters treating patients after terrorist attacks and after the tsunami in Thailand. After training at Oxford and Reading, Nigel Roberts worked in various capacities with the World Bank (1981-2011), including as country director in Nepal, Ethiopia, West Bank/Gaza and the Pacific Islands. 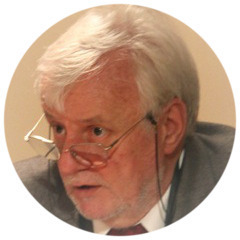 Currently Nigel works as a consultant to governments (notably Myanmar and Somalia), bilateral donors and the World Bank, focusing on both implementing and re-evaluating the recommendations of the 2011 World Development Report on Conflict, Security and Development, which he co-led. Nigel is Chair of the UN Secretary General’s Advisory Board for the UN Peace Building Fund; in that capacity, he has reviewed PBF field programs in Nepal, Somalia, Mali and Tunisia (for Libya). Nigel also serves on the advisory board of the Nordic International Support Foundation. A Harvard-trained public health specialist and pediatrician, Jon Rohde currently teaches at several schools of Public Health in South Africa, Uganda and Bangladesh. He directed and advised the South African EQUITY Project (1997-2004) restructuring the national health care system. For 12 years he worked in India, lastly as Representative of UNICEF (1993-1997). As Global Advisor to UNICEF (1980-1995), Jon was the designer of the Child Survival Revolution known for its emphasis on Growth promotion, Oral rehydration, Breastfeeding and Immunization (GOBI). Before that, Jon held leading research, training and advisory positions in public health in Haiti, Indonesia and Bangladesh. Jon has published widely in the area of infectious disease, nutrition, information systems for health, community involvement and public health. 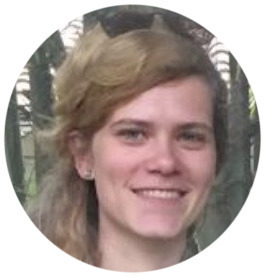 Alexandra Rose is the Program Manager for Mental Health at Partners in Health (PIH), an international non-profit dedicated to health system strengthening. In her role at PIH, she provides project management and technical support in developing, implementing, and evaluating mental health services across all PIH sites, including Rwanda, Liberia, Lesotho, Malawi, Mexico, Peru and Haiti. Key projects include adaptation of Problem Management Plus (PM+) to the Rwandan context and implementation of Interpersonal Therapy (IPT) in the Haitian context. Prior to joining PIH, she received an MSc in Global Mental Health from the London School of Hygiene and Tropical Medicine and King’s College London Institute of Psychiatry, Psychology, and Neuroscience and worked in health system strengthening in rural southern Malawi and social services in New York City. She will be starting as a doctoral student in the University of Maryland Clinical Psychology PhD program in Fall 2018, working with Dr. Jessica Magidson in the Global Mental Health and Addiction lab. Rebecca E. Rosenblum is a private practice clinical psychologist, with a background in behavioral medicine, hospital and nursing home settings. An EMDRIA approved consultant, she integrates EMDR Therapy and its neurologically based framework with psychodynamic, cognitive behavioral, systems, and feminist therapy perspectives. She is bilingual/binational Portuguese, and serves adults with classic as well as developmental trauma, attending to ethnic, gender, linguistic, sexual orientation and socioeconomic contexts. 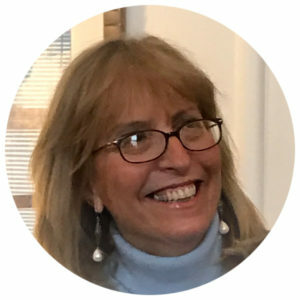 She volunteers her time to coordinate the Boston Area Trauma Recovery Network (TRN) – serving eastern Massachusetts – using EMDR-EI and the TRN to address trauma in marginalized communities, and recently publishing on this work. Elan Shapiro is a psychologist in private practice with over 30 years of experience working in a community psychological service in upper Nazareth. He came to EMDR Therapy in 1989 after attending one of the first trainings Francine Shapiro ever gave. In 1994 he became an EMDR Institute facilitator and was among the founding members of EMDR Europe. 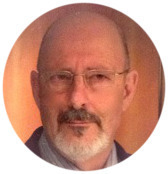 He is an accredited consultant and past Secretary of EMDR Europe. Recipient of the Servan-Schreiber award, from the University of Lorraine, Metz, in November 2012, and also the Servan-Schreiber award for contributions to EMDR Therapy at the EMDR Europe Conference, The Hague, June 2016. 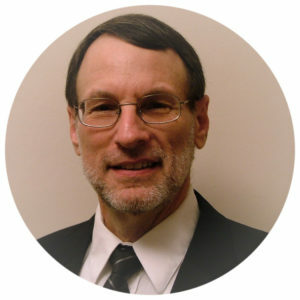 Roger Solomon is a clinical psychologist specializing in trauma and grief. He is a Senior Faculty member of the EMDR Institute and teaches EMDR internationally. Formerly the police psychologist for Colorado Springs Police Department and the Washington State Patrol, he is currently a consultant with the U.S. Senate and provides direct services to the Senate community. He has consulted with the FBI, ATF, NASA, and numerous law enforcement agencies. He has provided psychological services following several traumatic events including the September 11 terrorist attack, Hurricane Katrina, and the Oklahoma City bombing. Theodore Stanek is in his 15th year as a firefighter for the Stamford Fire Department. Lieutenant Stanek has been actively involved with the Fairfield Trauma Recovery Network in educating first responders statewide in trauma symptoms and initiated a Peer Support Program in his Department. Dan Stebbins is the retired Colonel of the Connecticut State Police. He was the on-scene commander at the Sandy Hook Elementary School in Newtown on 12/14/12. The lessons learned from the Sandy Hook shootings continued long after this horrific event as many first responders suffered from Post Traumatic Stress Injuries. Dan will share the difficulties the agency experienced by not being prepared for the traumatic stress suffered by so many people associated with the initial and follow up investigation. Tom Veivia recently retired from the Federal Bureau of Investigation after 26 years in law enforcement. Tom spent nearly all of his FBI career in Connecticut conducting various criminal investigations focusing on child victim crimes. Prior to his retirement, Tom was promoted to the FBI’s Behavioral Analysis Unit III. Tom was the team leader for the FBI during its response to the Sandy Hook Elementary School Shooting.